A new "Pay on Exit" barrier system is being installed at the multi-storey car park on Wellgate in Rotherham town centre. 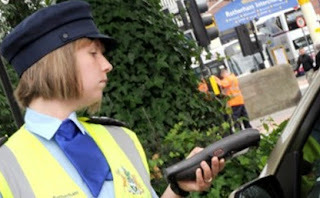 Rotherham Council, operators of the car park, hope that the system will allow customers to enjoy a visit to the town centre without having to worry about over-staying the time paid for. Replacing the traditional "pay and display" machines, customers will simply take a ticket from the machine upon entry and pay at one of the pay stations when they return to their cars. Payment options at the 291 space car park will include both cash and debit/credit card chip and pin facilities. The success of the system will be monitored and if it proves popular the Council will give serious consideration to the installation of similar equipment in other car parks. Cllr Denise Lelliott, Advisory Cabinet Member for Housing and the Local Economy, said: "We are delighted to offer this facility to customers. The Council has made a significant investment in this technology and we really hope that our customers will enjoy the benefits as it means visitors to the town centre will only pay for what they use." The new barrier means that free parking for blue badge holders will be unavailable. No explanation of what the problem was they are attempting to fix, and no commentary on what the costs were to park and what they are now. Still, good that we've got rid of those darn blue badge holders!